Sheet Pan Garlic Paprika Chicken and Veggies is the perfect one pan dish that is full of flavour. You’ll have dinner ready in 30 minutes with minimal clean – up. Hey there! This is Richa from My Food Story and I’m so excited to share one of my favourite recipes with you today – a totally mess free fall recipe that you and your family will love. 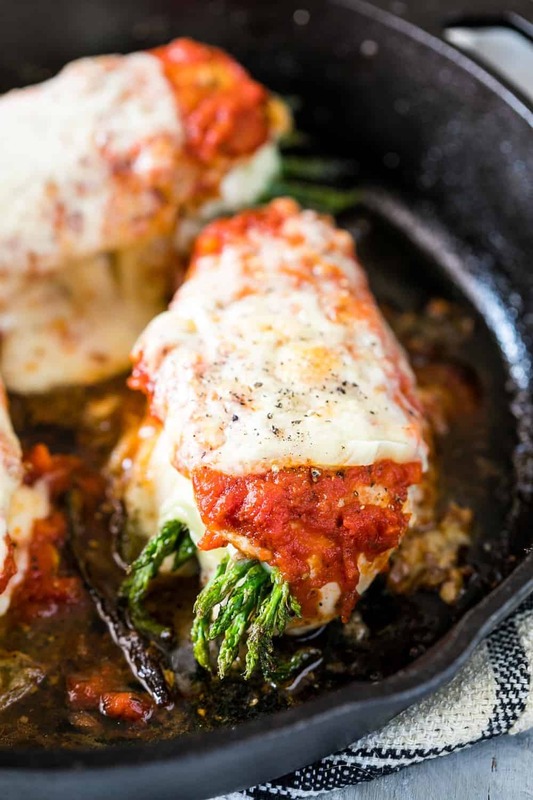 I love sheet pan dinners and we have one on table every week because they are a great way to get dinner for the entire family without all the massive clean up that comes with it. And I hate cleaning up after dinner. I’m already too tired and just want to get to bed and turn on Netflix as fast as possible. 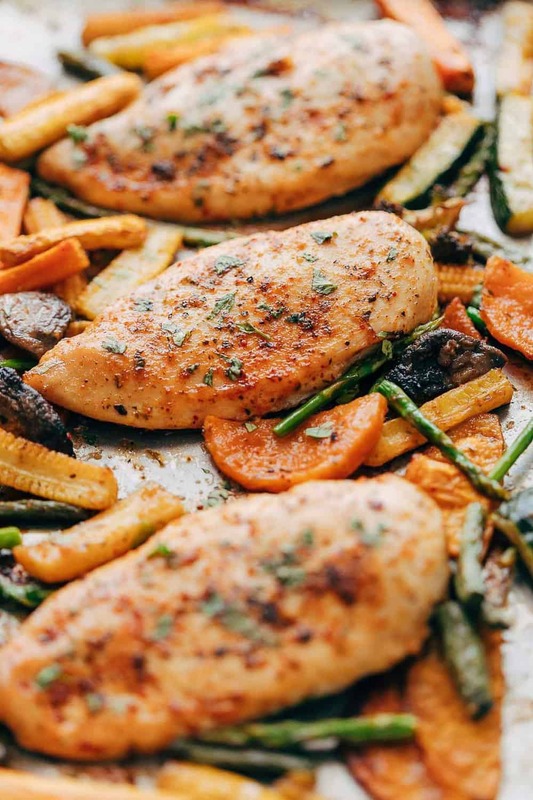 This sheet pan garlic paprika chicken and veggies will have you licking the pan clean because it combines fall veggies, or really any veggies you have in the fridge and is loaded with flavour from the garlic, paprika and herbs. 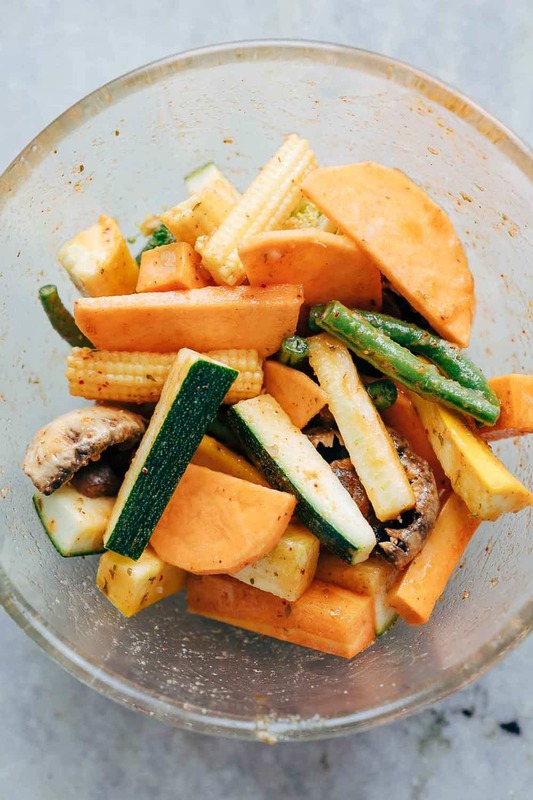 I usually throw whatever I have on hand – there’s sweet potatoes, broccoli, zucchini, corn, mushrooms, beans and the last of summer asparagus. Our supermarket sometimes has pre-cut veggies which makes this incredibly easy to make. But if you don’t chopping the veggies in nice big chunks doesn’t take too long. You can load up as many vegetables as you want and can always choose just your favourite vegetables. I love adding just beans and potatoes sometimes or carrots and broccoli. The possibilities are endless. 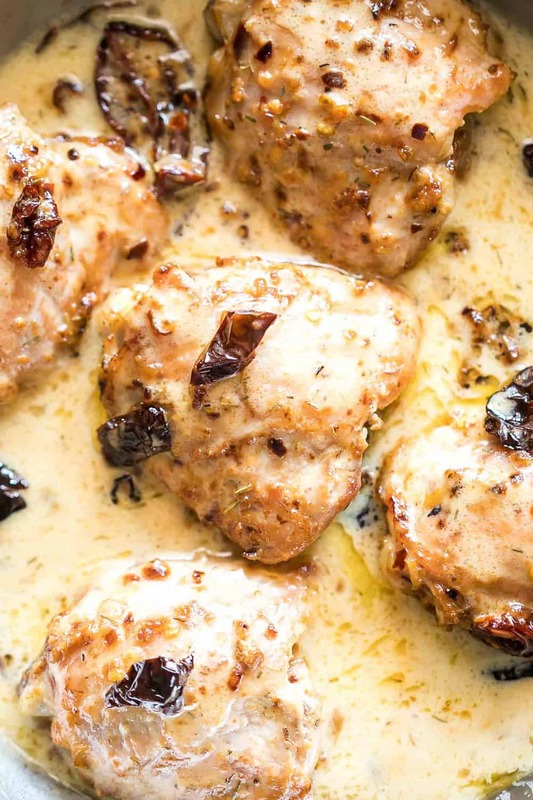 The marinade in this sheet pan garlic paprika chicken and veggies is really simple too – garlic, paprika, oregano, salt, lime juice and lots of olive oil. Which goes on both the veggies and the chicken. I usually end up using chicken breasts but if you like chicken thighs (which are juicier), feel free to use them instead. The cooking time will vary by 5-10 minutes because thighs can take longer to cook, but the results will be just as delicious! Right towards the end you just turn on the broiler and let everything sizzle so that the veggies have a nice char and the juices evaporate so that you don’t have a watery sheet pan dinner. 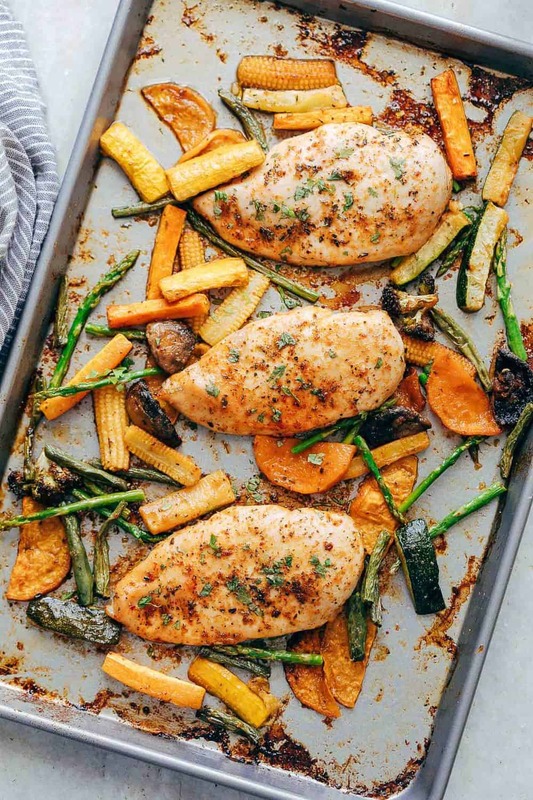 Sheet Pan Garlic Paprika Chicken and Veggies is the perfect one pan dish that is full of flavour. You'll have dinner ready in 30 minutes with minimal clean - up. Whisk together oregano, paprika, garlic, lime juice, olive oil, salt and pepper. On a large sheet pan lay together all the vegetables and pour half the marinade on top. Use your hands or a spoon to mix everything together and spread them out. Place the chicken breasts on top of the veggies and brush the remaining marinade on both sides of the chicken. Roast in the oven for 25 minutes till the chicken is cooked through. Broil for 3-4 minutes to caramelize the chicken and veggies. Serve immediately.